Note: MYOB AccountEdge is NOT Malaysian GST compliant. While you can track GST using the relevant codes, you will not be able to generate the required GST-03 or the GST Audit File through AccountEdge. This product option is for 3 user licences. If you require more user licences, you can add-on user licences later, or select to add user licences at the point of purchase. 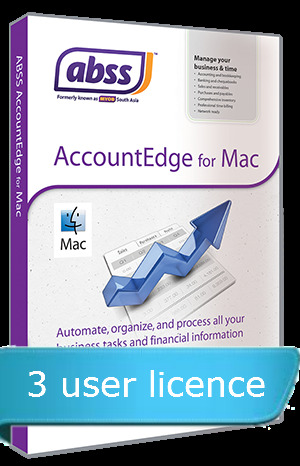 When you initially purchase MYOB AccountEdge 3 users, you will receive 30 days introductory support from MYOB as well as from Deltatech. You can choose to purchase the Business Support plan which will entitle you to free upgrades if any are released and technical support for a period of one (1) year. There is also an Upgrade Cover option which entitles you to free upgrades if any are released during your subscription period. Note that the Upgrade Cover option does not include technical support.